Digital banking solutions provider Q2 Holdings will acquire Cloud Lending Solutions. Terms of the deal were not immediately disclosed, though the transaction has been approved by the boards of directors for both companies, reports David Penn at Finovate. Cloud Lending provides a solution built natively on Salesforce. The platform enables lenders to conduct origination, underwriting, servicing, collections, and reporting activities. Cloud Lending was founded in 2012, and is based in San Mateo, California. Heading into the acquisition, the company had raised more than $14 million from investors including Cota Capital and SF Capital Group. 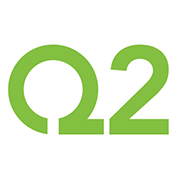 Headquartered in Austin, Texas, Q2’s clients include Broadway Bank, Inwood National Bank, and First Financial Bank. In the spring, Q2 – working with StoneCastle Partners – announced a deal with MoneyLion to help the New York-based fintech launch deposit accounts and debit cards. In February, Q2 inked a multiyear partnership with financial services platform, Acorns, which will leverage the company’s Q2 Open API portfolio – launched last year – to deliver new services to its more than three million customers.